I met Jackie Jules soon after I moved to Arlington, Va., when my tiny critique group (three people) was invited to join her critique group, which was larger but which ebbed and flowed. I’ve been a part of that group for four and a half years now — a group that features women of varying ages, personalities and temperaments, all arguing and laughing and yelling over line after line of one another’s work. Me: Let’s start by talking a little bit about Freddie Ramos — where he came from and why you were inspired to write this book. Jackie: Like most fictional characters, Freddie is a composite. His first name came from a little boy I taught when I worked as a school librarian. His last name came from one of my female students. As a school librarian, I generally only saw my students once a week, and many of them came from families who moved often and so only attended my school for a short time. Some children stood out for an especially broad smile or consistently funny remarks. Others were simply lovable. Freddie Ramos is a montage of all the kids I taught with a little bit of my husband and my two sons mixed in. My sons are grown now, but for many years I lived in a house outnumbered by males. When you spend a lot of time with little boys, both as a teacher and a mother, you get to understand how they think, and that helped me create Freddie. Me: What sort of kid do you hope will read Freddie? Do you have a picture of your audience in your head? 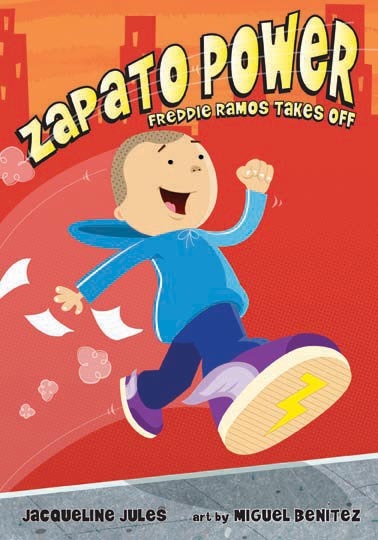 Jackie: Zapato Power was written for the little boys in my library who asked me almost daily, “I want a book about a superhero.” More than sixty percent of my students were English Language Learners. The books with the content they craved were way beyond their reading level. 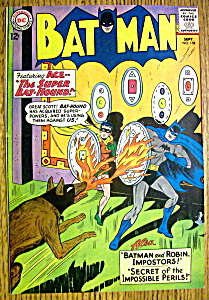 My husband often says he learned to read with Batman and Superman comics. I think that’s great. However, the reading level of those comics is too advanced for a child struggling with the English language, even with the pictures. My first draft of Zapato Power was an easy reader. I wanted a book my students could read without difficulty. The easy reader format proved to be too short to tell Freddie’s story, so I expanded it to a chapter book, but the reading level and font size are still very accessible. As a librarian, I saw that many of the chapter books available—Nate the Great, Junie B. Jones, Cam Jansen—did not parallel my student’s lives. The kids in those stories live a comfortable middle class lifestyle. They were born in the United States and never faced any of the difficulties of an immigrant family. It was important to me to create a character who reflected my students’ lives. Freddie Ramos lives at Starwood Park and goes to Starwood Elementary, right next door. Many of my students lived in a large apartment complex right next to the school. They moved often and their families worried about money. That’s Freddie’s life, too. Me: Another of your recent books, Duck for Turkey Day, is about kids who are in the minority, and you’re well known for your Jewish books for children. Could you talk about how they’re similar to Freddie? How are they different? Jackie: I wrote Duck for Turkey Day for many of the same reasons I wrote Zapato Power. All of the Thanksgiving stories I saw depicted American born families eating turkey and stuffing. As a child of an immigrant myself, I can tell you that turkey is not a particularly loved food by people born in other countries. My father disliked turkey and we did not have it in my house for Thanksgiving. When I saw that my students were eating holiday foods from their native countries on Thanksgiving, I got the itch to write a story that validated their lives and their experiences. So a Vietnamese-American child named Tuyet was born in my mind. We live in a diverse country and our children’s literature should embrace that. Me: So now I have to ask: Where did your father come from and what did you eat for Thanksgiving? Jackie: He came from Switzerland and we ate duck! Me: Before Freddie, the books you published were all picture books. What were some advantages in using this longer form? Jackie: The longer form gives me more opportunity to enjoy my character’s quirks and personality. In a picture book, every word must be justified, like a poem. I cut and cut and cut. The chapter book format allows me to put a few more words on the page. I can relax a little and play with more images and dialogue. Me: You are one of the hardest working writers I know, especially when it comes to revision. Could you talk about revision with this book? Jackie: As I mentioned above, I began this book as an easy reader. It went through a number of drafts in that form and got some interest from three different editors, who all said they’d like to see the story expanded. So I made it longer and answered some questions like who gave Freddie his special shoes, something I didn’t answer in the easy reader format. I had originally seen the source of Freddie’s power as a mystery he would never solve. But that would have been a let down for the reader. I owe a debt to those editors who took the time to give me specific feedback. It is hard for me to say how many drafts Zapato Power went through, since I wrote it over the course of two or three years. Like all my books, I revise them too many times to count, going back to the drawing board to re-write from scratch as many times as necessary. The more years I write, the easier revision is for me. And suggestions from editors and critique friends fuel my brain. I often get annoyed with myself and think, “Why didn’t I see that on my own?” But I am grateful when others point out weaknesses in my stories and help me make them stronger. Me: I know there is a second Freddie book coming out, which would make this a series, yay! You’re not a stranger to the series, given the Ziz books, and I suppose your bible stories are a series in a way (although they don’t focus on the same character). Tell me what you like about working on a series. Was it easy to start book No. 2? Me: It was easier to start book 2, Freddie Ramos Springs into Action, than to finish it. I had been thinking about another adventure for Freddie for months before I began, so I had a plot in my mind. But my first draft was too dense and complicated for a chapter book. It didn’t have the same pace as Freddie Ramos Takes Off. My editors at Albert Whitman helped me see that and gave me the suggestions I needed to make book #2 a real sequel. In Zapato Power: Freddie Ramos Takes Off, Freddie receives the special sneakers that give him super speed. In Freddie Ramos Springs into Action, Freddie must figure out how to manage his new life as a would-be superhero and still be a little boy. Many children dream of having super powers, but they also want to be kids. How do you manage both worlds? This is something Freddie must deal with. I read this cool book, Superman: The Complete History by Les Daniels. In it, I found a wonderful quote from Joey Cavalieri, one of the editors of the Superman comics. He said, “There’s something really charming about the time when a super hero first gets his powers, and is unfamiliar with them and has to learn how to use them.” That was what I tried to capture in Freddie’s experience as a boy with brand new superpowers. Me: And if we’re going to talk about the likes, I should also ask: Are there any dislikes or difficulties? Jackie: I generally enjoy working on sequels. I feel like I know my characters, how they think and how they would behave in the situations I place them in. But at the same time, it can be limiting because the second book must echo the first one in style. It must also be consistent. And then there is the fear of not coming up with a new storyline that works for your established character. I am always on the lookout for new ideas for the Ziz and for Freddie. I collect newspaper and internet articles and I write notes for future reference in idea files. So when I have time to start a story in earnest, I often have quite a few notes already down to get me going. Me: What’s your favorite thing about Freddie? Jackie: I love Freddie’s voice. I love the way he looks at the people in his life and draws funny conclusions. Freddie Ramos is a real person to me now. I hear his voice in my head when I write. I say to myself, “that’s how Freddie would see things,” or “that’s a Freddie comment.” Freddie Ramos almost feels like a third son to me. Me: What’s your secret talent? For example, Kathy Erskine says she can take odd ingredients and come up with a decent meal. Jackie: My secret talent is that I like to sing and make up songs. When I worked as a librarian, I loved storytime and singing with my students. I wrote reading songs which we all sang together before and after lessons. I think music is a great way to involve an audience and to allow everyone—English and non-English speakers—to participate. I usually begin my author appearances with a song, so I’ve written a ballad for Freddie, called Sneakers with Power that I hope to teach children at Zapato Power book appearances. Me: How about in writing? Do you have a superpower there? Jackie: No, I just have a driven personality. 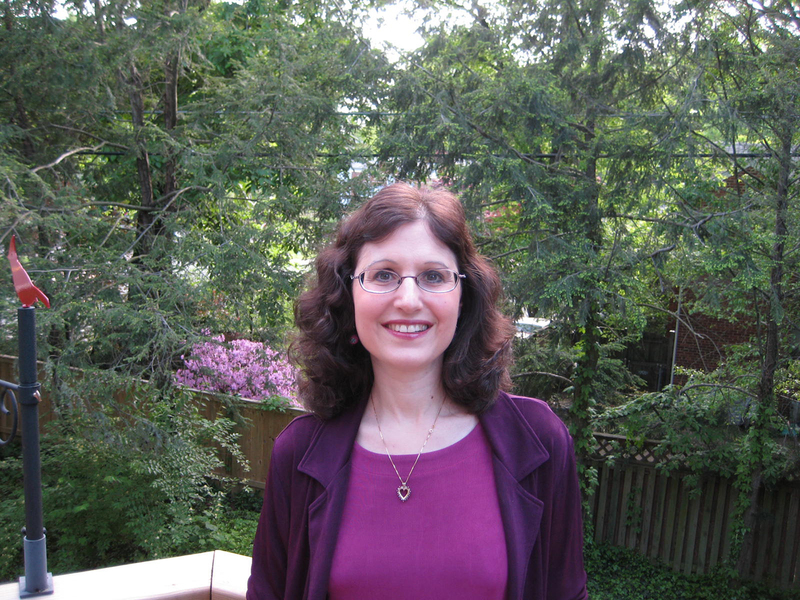 I work about thirty to forty hours a week on my writing career in addition to my hours as a part-time teacher. I often joke that I don’t have much of a life away from my computer or my teaching, but it’s the shameful truth. My Facebook page says that I am a workaholic who would like more conscious hours in the day. For better or worse, that sums me up pretty well. Thanks to Jackie for stopping by and, as always, thanks to you for reading! 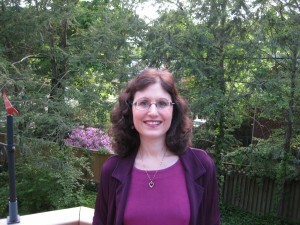 To find out more about Jackie, visit her web site at www.jacquelinejules.com. This entry was posted in author interview, kidlit. Bookmark the permalink. Kids will enjoy both these new titles from Jackie! Congratulations, Jackie, and thanks to Madelyn! Madelyn asks the best questions. And Jackie, I totally loved getting insight into your inspiration for Zapato and Duck for Turnkey Day! Brava to both of you. I’m privileged to know Jackie (and you! ), and still got some great insight and inspiration from this interview. Thank you and congratulations, Jackie! Love this interview. Can’t wait to read Zapato Power!